There are very few Strip frontage properties that are privately owned and available. Most of the Strip is developed or owned by large gaming companies. Giving you the advantage of a confidential transaction. The greatest density of hotel rooms and guests are within four blocks. 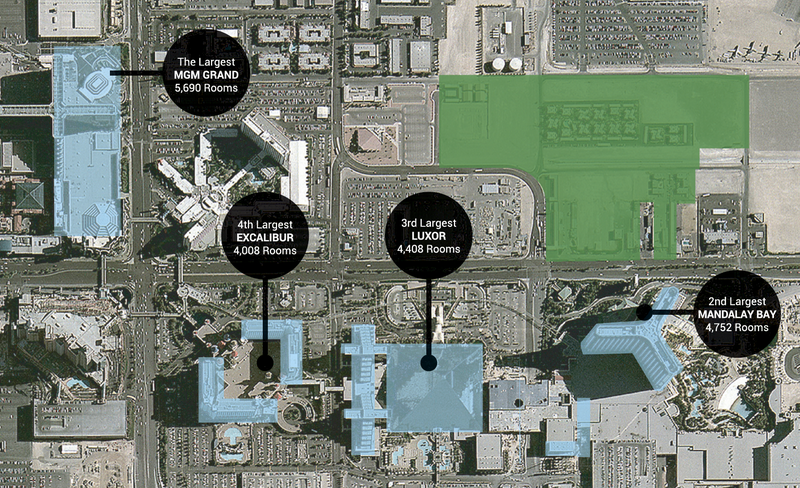 The South Strip has more gaming revenue (EBITDA), compare Circus Circus 18m to Mandalay Bay’s 200M. With approximately 750 feet of Strip frontage, that’s more than MGM Grand, Paris, and the Venetian. 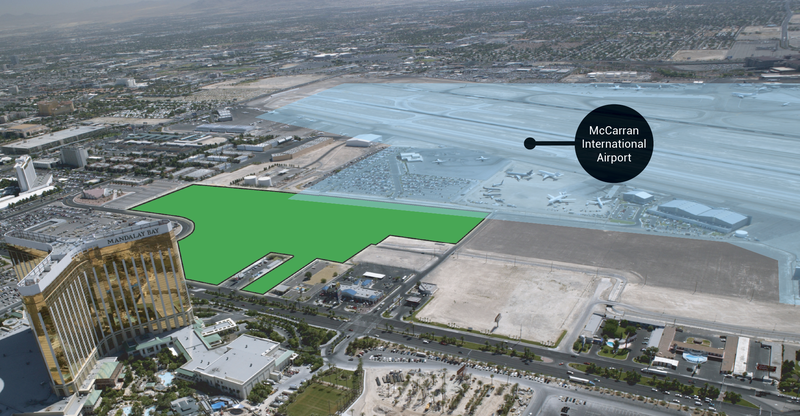 It is the first property passed by those traveling form the massive Consolidated Car Rental Facility. It would be the nearest Hotel/Casino site to the airports private jet terminals providing added convenience for high rollers. Interior streets have been vacated. ALTA Survey has been completed. Phase 1 Environmental completed. Property is clean.